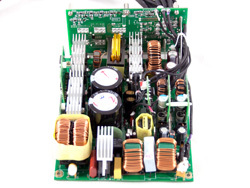 The abbreviation PSU stands for Power Supply Unit and in the whole article we assume that it is also a Switching Mode Power Supply (SMPS) since in PCs, to the best of our knowledge, only SMPS units are used. A PSU is the heart and a vital part of a system, since it's the one that feeds power to the other components (CPU, VGA, HDD, etc.) If it stops supplying power, for any reason, then nothing else will run since there will be no power to the system. 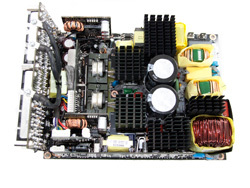 In case of damage to the PSU, there is a possibility that other components may be damaged, too. This is a fact that unfortunately many users ignore, otherwise they would first buy a decent PSU for their systems and then the rest of the components. On the contrary the opposite happens in many cases, users usually acquire all other components and they leave the PSU purchase for last, with the leftover money. If you belong in the category of users that we described above, we are pretty sure that after reading this article you will change tactics. However this article is not addressed only to users that do not know the important role that a PSU plays, but will give valuable information to experienced users, too. 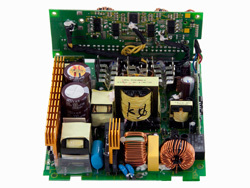 In the beginning of the article, the fundamentals of Switching Power Conversion will be explained and a brief description of the various stages that compose a PSU will be made. In addition, we will make a quick reference to some switching regulator topologies used currently. A few pages dedicated to PSU protections are following and next we take a look at ATX, EPS and 80 PLUS specifications. Finally, in Appendix A we make a quick reference to the most significant electronic components currently used not only in PSU manufacturing but also in every modern electronics device. So you will learn the basic concepts of inductors, capacitors, resistors, transistors and diodes, in order to get familiar with them and understand better some concepts discussed in this article. As you can imagine it's going to be an interesting and highly informative journey to the PSU world, so join us!